SmartCare Paramedics perform a thorough home safety assessment to identify risk factors that may cause subsequent health concerns. Assessment inside the home includes living room, kitchen, stairs, bedrooms, and bathrooms. Outside the home includes sidewalks, driveways and porches. The complete Home Safety Assessment Checklist is included in the PCP reporting. Any and all potential hazards or concerns which may affect the patient's wellness or recovery will be reported to the PCP and addressed or marginalized. 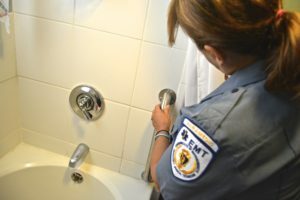 The SmartCare Paramedic will also review the findings of the Home Safety Assessment with the patient so that everyone is involved in determining the best course of action in addressing concerns.